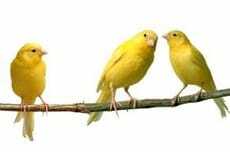 Learning new songs tipped researchers off to the unique ability of canaries to add new brain cells. Now, based on these findings, researchers have learned how to trigger brain cell growth in mice with Huntington’s disease. In patients with this neurodegenerative disease, brain cells die off, leading to a full range of movement, mood, and behavioral symptoms. The generation of new brain cells could, in theory, stymie the progression of this disease. Dr. Steve Goldman of the University of Rochester Medical Center and his team hope to translate their findings, reported in Cell Stem Cell, to patients.